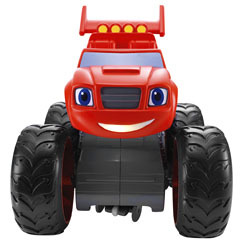 Blaze and the Monster Machines can drive right into your home, thanks to the Fisher-Price collection of toy monster trucks and playsets! 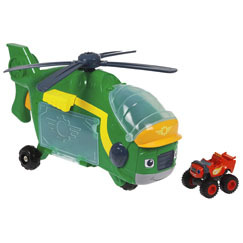 Toy trucks zoom across the room, and kids love playing and racing. Explore the world of Axle City! 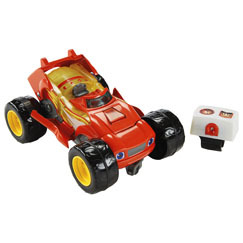 Start your engines and get ready for Blazing Speed and stunts with Axle City's greatest hero, Blaze! 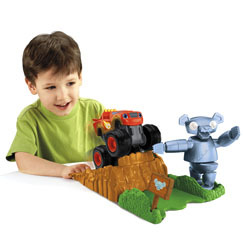 See how Blaze and the Monster Machines™ support STEM concepts! Nickelodeon™ Blaze and the Monster Machines™ BLAZE TO VICTORY SPEEDWAY"